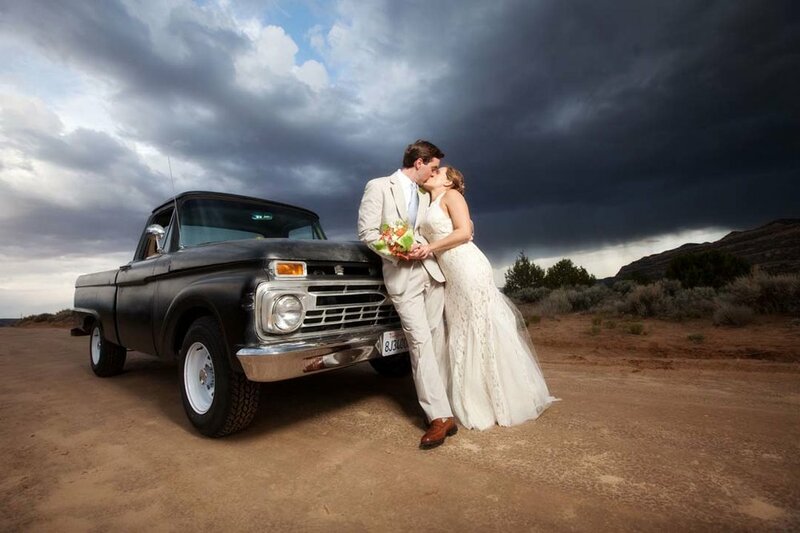 Leah and Brian had a fun filled 4-day event that began with a hoedown and bonfire, bridal brunch and wedding & reception with over a 100 guests traveling to the very small and remote town of Escalante, UT. The groom is from the East Coast and the bride’s family is originally from Oklahoma but moved to Escalante a few years ago to run the Escalante Outfitter. Brian & Leah had met and fell in love in Flagstaff, Arizona but were living in Portland, OR at the time. 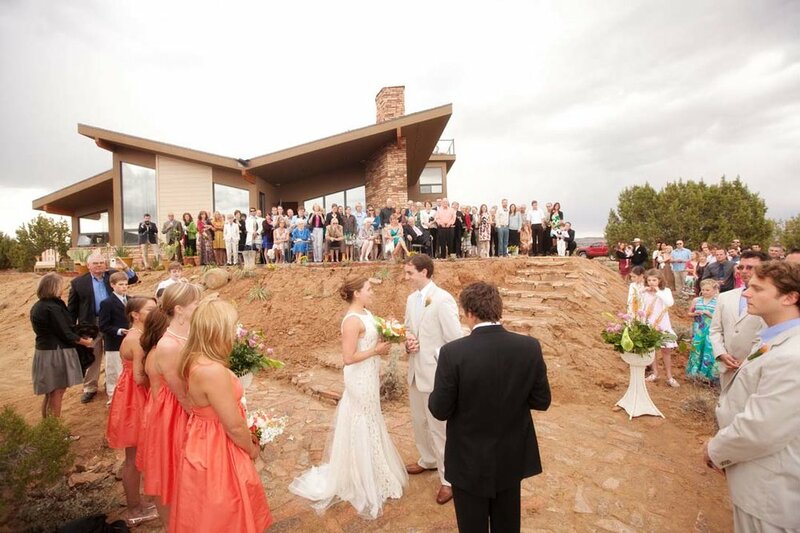 Their mutual love of the southwest and strong ties to family made the choice of their venue easy. Although the location was very remote and the weather challenging, the weekend was nothing less then magical!